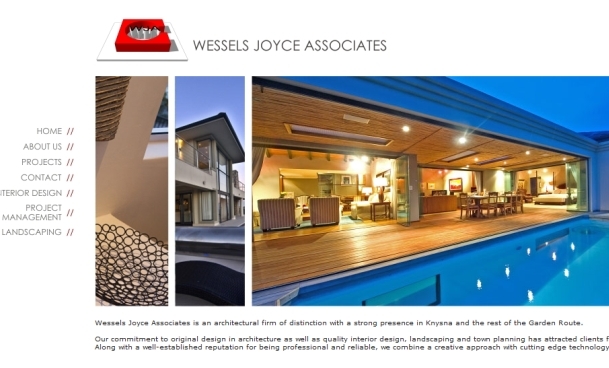 Description: Architectural website for Wessels Joyce Associates, Knysna. Showcase with all the recent and future projects. Description: Commercial Portal for the Thesen Harbour Town development - Thesen Island. Description: Residential Portal for the Brackenridge Development - Plettenberg Bay, South Africa. Description: The Chapel & Old School is the ideal location for hosting functions and special occasions - Knysna, South Africa.